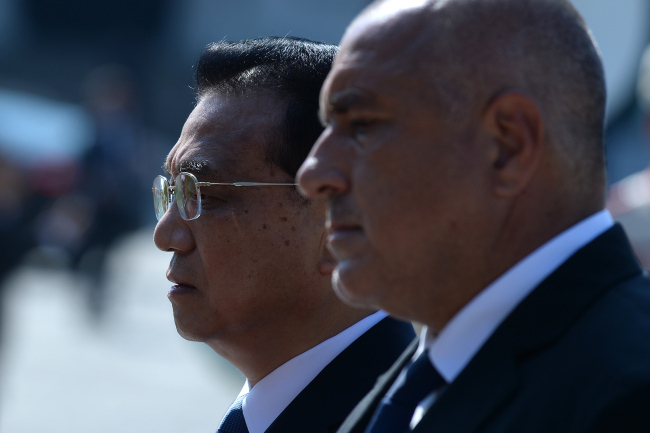 As a trade war rages between China and the US, Chinese Premier Li Keqiang is meeting leaders from central and eastern Europe in Bulgaria on Saturday to discuss investment opportunities. Road and rail projects funded by China will be high on the agenda at the summit, which has raised concerns in Brussels and richer Western European countries about growing Chinese influence in the region. At the seventh annual gathering of the so-called "16+1 cooperation", Li will meet leaders and firms from 11 EU member states and five Balkan nations hoping to join the bloc. Their talks will focus on joint ventures in industry and the high-tech sector as well as infrastructure, agriculture and tourism, the Bulgarian hosts said in a statement. But there are fears the summit could be an attempt by China to vie with EU projects and aid by funding infrastructure under its global Belt and Road initiative and thus divide the bloc. Europeans," a December 2017 report by the European Council on Foreign Relations (ECFR) said. Li hurried to downplay Brussels' concerns on Friday. "The 16+1 cooperation is by no means a geopolitical platform. Same may say that such cooperation may separate the EU but this is not true," he said after talks with Bulgarian premier Boyko Borisov. "China supports European integration and a united EU because we understand that the EU is an important force for global prosperity and peace." Borisov added that China was not seeking to compete with but rather complement EU aid in the region. Enthusiasm among participants has waned through the years as the flood of Chinese cash -- including a promised $10 billion credit line and $3 billion investment fund -- has largely failed to materialise. and lack of interest for the loans," ECFR researcher Francois Godement told journalists in Sofia via video link Thursday. The dropping of several big infrastructure and energy projects has led to scepticism in Poland and Romania while the enthusiasm of Hungary and Serbia, which have managed to attract some investment, is now "much more low-key", he added. The Sofia summit comes the day after a tariff spat between China and the US escalated into a full-blown trade war as 25-percent US duties came into force Friday on $34 billion of Chinese goods. Li slammed the tariffs, saying China will retaliate while committing itself to "further opening... our markets to ease market access to foreign companies" -- something the EU has long pressed for. US President Donald Trump's offensive has led to a major shift in China's attitude towards Europe and the Asian giant is now "sweet-talking to the EU" on trade matters, Godement said. Meanwhile Li stressed China's "huge market and potential for growth" Friday, adding that "the international environment might change." However, small markets in central and eastern Europe seem an unlikely target for China's efforts to compensate for lost revenues. Adrian Nikolov from the Sofia Institute for Market Economics pointed to markets in Asia as a more likely target. Li will travel next to Germany, which has been particularly reticent on the 16+1 format, to seek common ground with Chancellor Angela Merkel. The EU is also locked in a trade row with Trump, who has threatened to impose similar 20-percent import taxes on EU cars.